Experience a full view of the city from the tower believed to have given inspiration to the sporting colours of Cork. The clock here is locally known as the Four Faced Liar because the faces on each side never tell the same time. The tower houses the large 18th century Shandon bells which visitors can try their hand at ringing while on a self-guided tour. St Anne’s church at Shandon is one of the oldest churches in Cork still in use and it has been a site of worship since the medieval times. Amenities: Wheelchair access to church is available on request but as there are 132 steps up to the tower, the climb is not suitable for visitors with mobility issues or a heart condition. Parking at €1.80 per hour or €6.40 per day is available at St Mary’s North Cathedral. Opening hours and costs: Monday – Saturday 10am-5pm, Sunday/bank holidays 11.30am-4.30pm. Entry for adults €5 seniors/students €4, children over five €2.50, family €12 (two adults and up to four children under 16 years). This star-shaped fort was built in the 17th century in the aftermath of the Battle of Kinsale in 1601. Its purpose then was to protect the walls of the city during British dominance. For 400 years the fort has been in continuous use, most recently as a garda station up to 2013. Guided tours take place daily at 1pm when visitors can hear the full stories of the fort’s past. Amenities: Wheelchair access is available to explore the courtyard only as access to the stone walls are restricted. Opening hours and costs: Admission is FREE but guided tours are €3 per person with under 12s free of charge. The fort is open from Monday– Saturday 10am-5pm and Sunday 12-pm. The museum is located in Fitzgerald’s Park within a two-storey Georgian house originally built in 1845. The museum focuses on the heritage and history of Cork over the last four centuries and includes an archaeological exhibition that traces the 7,000 years of settlement in the city. In the public park visitors can explore a sculpture trail within the 18-acre park of landscaped gardens, which highlights its horticultural features. Amenities: The museum and park are fully accessible to wheelchair users and there is a café and a shop on site with a lift to the second floor. There are open green spaces to have a picnic also. Opening hours and costs: The park and museum are open to the public FREE of charge. The museum is closed on Mondays, but opens weekdays 1am-4pm, Saturdays 11am-pm and Sundays 2-4pm. The park is open daily from 8.30am-10pm. This collection of almost 4,000 artworks ranges from painting, print and drawing to sculpture, with 12 exhibition spaces spread across three floors. Artists featured include Seán Keating, John Lavery, Jack B Yeats, Norah McGuinness, Harry Clarke, Eilish O’Connell, Dorothy Cross, Maud Cotter and Hughie O’Donoghue. The collection also includes Greek and Roman sculpture casts, which were brought to Cork in 1818 from the Vatican Museum in Rome. Amenities: The gallery has full wheelchair access, a garden café and bookshop on site. Parking is available at Paul St car park or at Carroll’s Quay car park. Opening hours and costs: Admission is FREE and the gallery is open Monday – Saturday 10am-5pm with late opening on Thursday until 8pm. Sundays and bank holidays 11am-4pm. 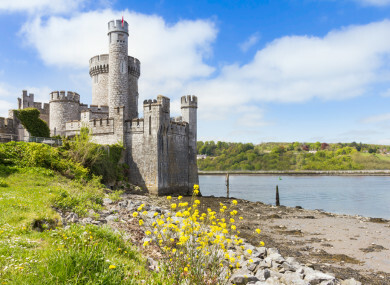 Blackrock Castle is the oldest surviving structure still in use in the city of Cork today and the observatory seeks to foster interest in astronomy, engineering and technology. Visitors wishing to explore the research observatory and science centre can avail of a daily guided tour through the castle as well as interactive exhibits and a planetarium. There are also space camps open for children. Amenities: There is access for wheelchair users on the ground floor only and a restaurant and a café are located in the castle. Tours are also available through Irish but must be booked in advance. Opening hours and costs: The observatory is open daily from 10am-5pm and the last entry is 4pm. Children under 5 years have free admission and the entry price for adults is €6.50, seniors/students/children €4.50, while a family ticket for two adults and two children is €18. Group tickets for 10 or more people are available at €5.50 per person. Thanks to Cork City Council heritage officer Niamh Twomey for her recommendations. TOMORROW: Top 5 must-sees in Kerry and Longford. Email “Your summer in Ireland: 5 must-see sites in Cork City”. Feedback on “Your summer in Ireland: 5 must-see sites in Cork City”.